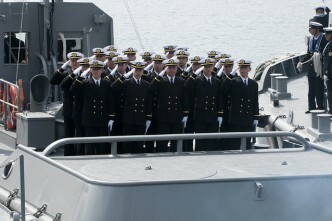 Japan has quickly risen to become a defence partner for Australia that ranks beside New Zealand and Britain. Thus, Japan sits on the second tier, with the traditional Anglo allies, below the peak where the US presides as the prime, principal and paramount ally. 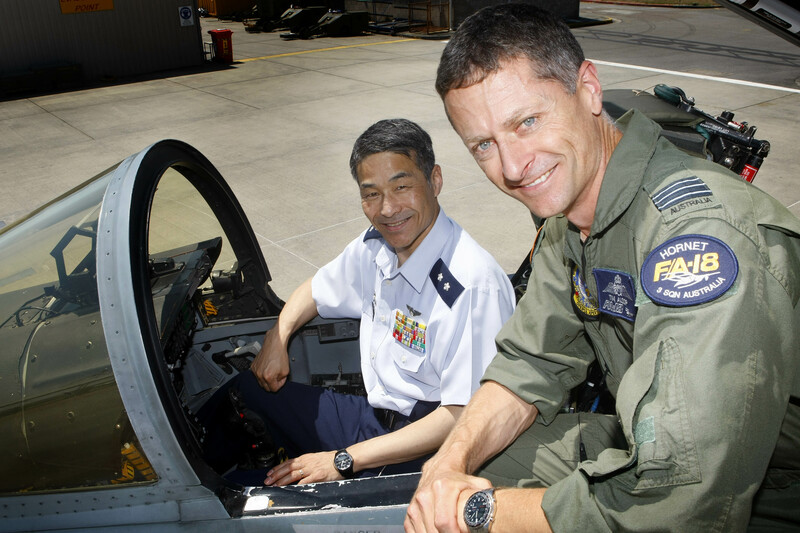 To see Japan as one of Australia’s closest security partners is to describe a set of changes that have arrived with great speed in only two decades. 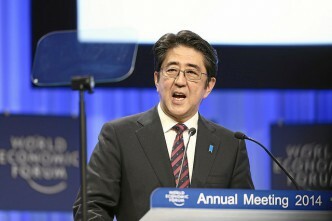 When Shinzo Abe told Australia’s Parliament on Tuesday that he wanted to ‘make a truly new basis for our relations’, he was stating a future ambition for Japan, but building on a structure already in place. The key fact of that structure was in this sentence: ‘There are many things Japan and Australia can do together by each of us joining hands with the United States, an ally for both our nations’. As my previous post noted, Australia and Japan are becoming allies, without a formal when-the-shooting-starts-bilateral-alliance, because of the trilateral that expresses their alliances with the US. The trilateral is less than 15 years old and ain’t it grown. See this post with an off-the-cuff account by Australia’s longest serving Foreign Minister, Alexander Downer, of how he pushed to create the trilateral against Chinese hostility and, initially, dismissive scepticism from Japan. 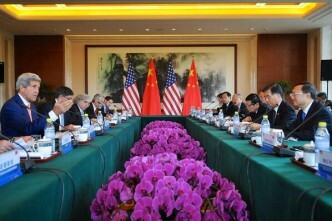 By denying that the trilateral would be the Asian NATO, Downer gave the Chinese a vivid description they still bring up. There are several laws about denials. One is that you should never believe anything until it has been officially denied. Another is Kissinger’s rule that when you deny an intention to do something, you’re also indicating the capability to do that thing if so minded. 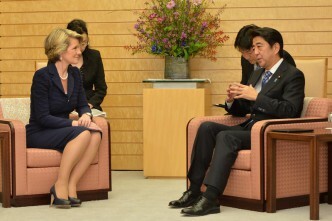 Australia welcomes Japan’s recent decision to be a more capable strategic partner in our region. I stress: ours is not a partnership against anyone; it is a partnership for peace, for prosperity and for the rule of law. Our objective is engagement, and we both welcome the greater trust and openness in our region that is exemplified by China’s participation in this year’s RIMPAC naval exercises. Despite the denials, the Abbott government has followed Japan and reinforced the Abe relationship by inserting a lot more iron in the idiom Canberra uses about China. 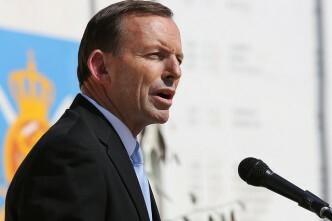 See this account of Australia’s shift to adopt stronger language reflecting Japan’s perspective. The Foreign Minister, Julie Bishop, uses that language with her comments about Australia standing up to China to defend peace, liberal values and rule of law. 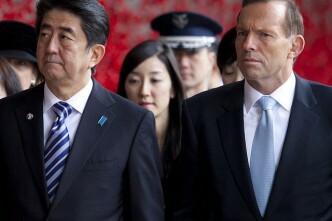 Australia will be standing up with the US and Japan. 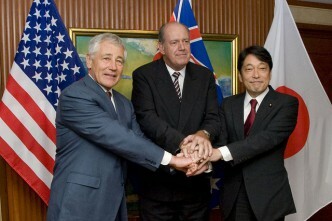 Where once the trilateral that was the foundation for Australian defence thinking had New Zealand as its third leg, now it’s Japan. 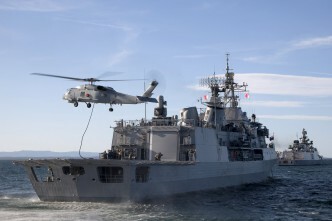 Andrew Davies’ column on New Zealand defence capability grinding to a standstill is a reminder of how much defence cooperation is a function of capability. By contrast, Australia and Japan share F-35s and the new defence agreement for sharing equipment and technology signed last week means Australia’s future submarine can have a large Japanese element. Placing Japan beside Britain and New Zealand as a security partner isn’t to say that Tokyo and Canberra have achieved the intelligence-sharing intimacy of the Anglo club. 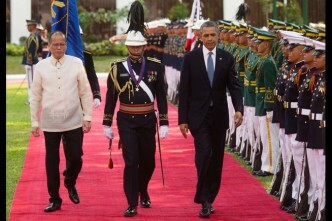 But a lot is being shared and, again, this is driven by a trilateral dynamic with a Chinese flavour. The way things have shifted in the seven years since the signing of the Japan-Australia Joint Declaration on Security Cooperation in 2007 means Tokyo has definitely risen further in the hierarchy of Australia’s defence interests. Another law worth remembering is that you can be endangered as much as enhanced by what you embrace. See fine discussions of this truth by Andrew Carr and Harry White. For the full jeremiad, though, turn to Malcolm Fraser’s book Dangerous Allies and his view that the alliance with the US is more dangerous to Oz than China can ever be, because Australia faces ‘increased pressure from the US to establish a more formal and all-encompassing defence relationship with Japan; a relationship that would make it much harder, if not impossible, for us to avoid being involved in any conflict between China and Japan’. Graeme Dobell is the ASPI journalist fellow. Image courtesy of the Department of Defence.